Summary: Maddie and Emily are two best friends (they call themselves Mad-ily) who bond over crafting. When Maddie makes friendly overtures to new girl Bella, Emily is worried that she is being excluded. She starts to spend lunch time in the art room, where she gets to know Sam, a budding artist who loves to draw and paint. Eventually, Mad-ily’s misunderstanding is resolved, and the four kids bond over a project turning an old shed at Bella’s new house into a craft studio. By the end of the book, they’ve created a space with a desk, tool cabinet, shelf, easel, and worktable to allow them all to pursue their hobbies. 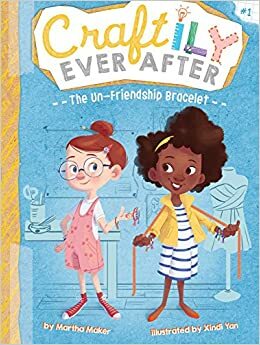 Includes instructions for making a friendship bracelet and a sneak peek at book 2. 128 pages; grades 1-3. Pros: The combination of crafts and friendship will appeal to many early chapter book readers. 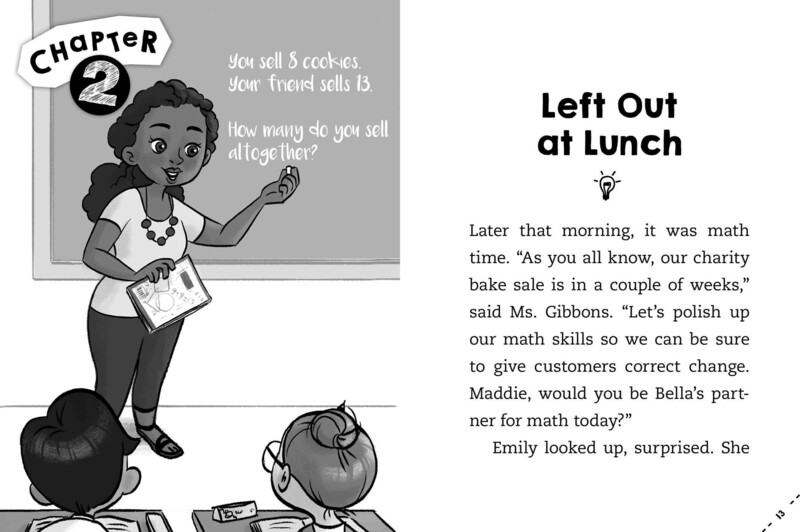 A large font and plenty of illustrations make this an accessible choice. Cons: Those kids seem awfully young to be building tables and sewing cushions. Love the idea! Sounds like a cute book.